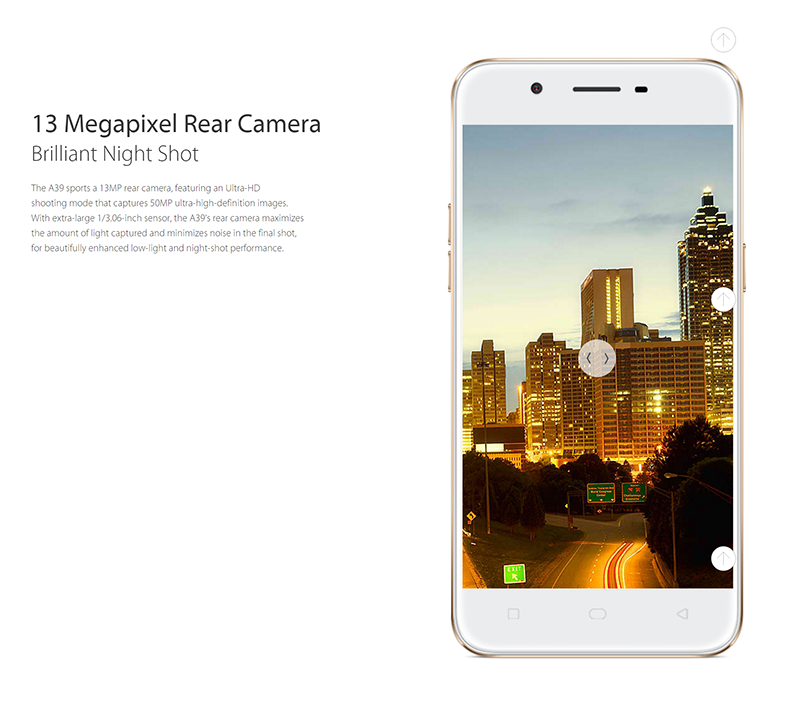 OPPO A39 With 13 MP Lowlight Ready Camera Goes Official In The Philippines For PHP 10990! Home / mobile / news / oppo / OPPO A39 With 13 MP Lowlight Ready Camera Goes Official In The Philippines For PHP 10990! While everyone is busy at CES 2017, OPPO has silently announced the availability of their latest "selfie-centric" handset in the Philippines called the A39. The OPPO A39 is a midrange handset with all metal unibody design and 5.2 inch HD TFT screen w/ Gorilla glass 4 protected 2.5D curved glass. Under the hood, it reminds us of the OPPO F1s. The device is loaded with 1.5 GHz MT6750 octa core processor, Mali T860 GPU, 3 GB of RAM, 32 GB of expandable storage, and 2,900 mAh of battery. The main highlight of this handset are its cameras. At the back, it has a 13 MP f/2.2 aperture w/ 1/3.06 sensor for better lowlight shots. In front, a 5 MP f/2.4 aperture sensor w/ large 1.4 um and screen flash for better selfies is there. The handset will be available starting today January 7, 2017 nationwide for PHP 10,990 only.